Delivery within 30 minutes. 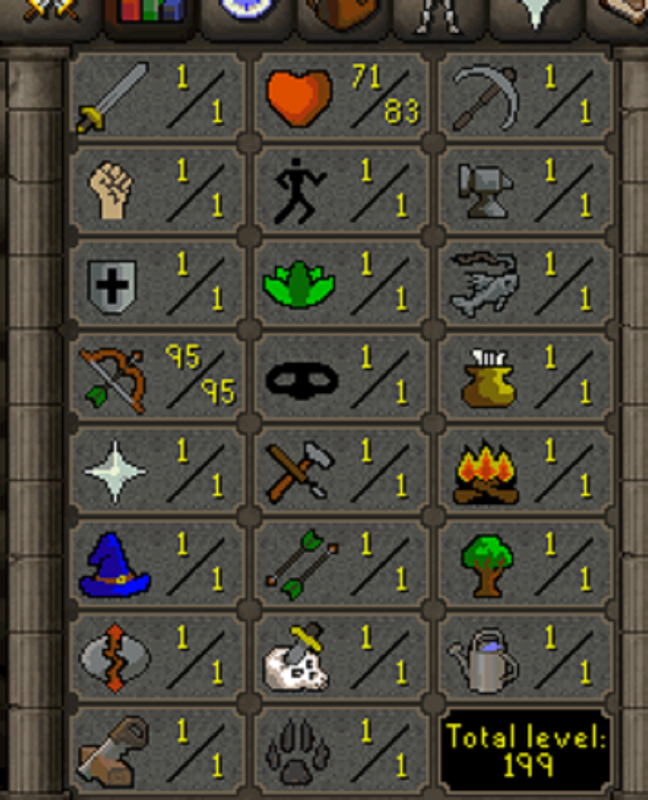 Combat lvl 67. However, we do not guarantee that the account never will be banned, lost, or otherwise made inaccessible seeing as we can not control your behaviour once you have gained access to account. We only guarantee that we will email you account details for an existing and accessible Runescape Old School account with 95 RANGED within 30 minutes of completed and approved purchase.